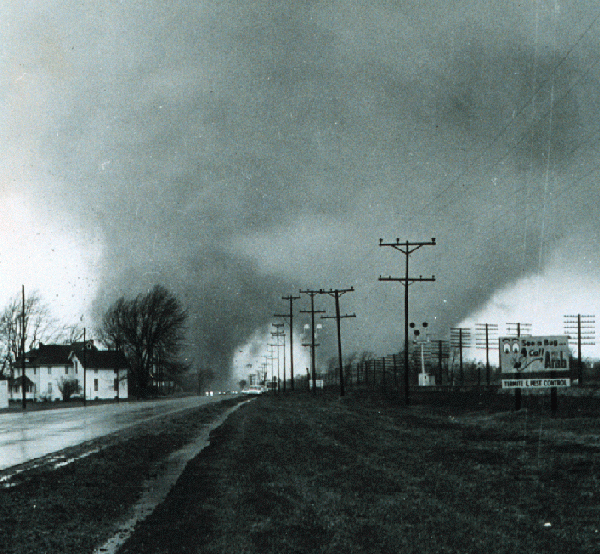 I added a link to one of the most famous tornado photos ever..the double tornadoes of Palm Sunday, 1965 at Goshen. This is a classic and was in a lot of NOAA materials when I was a kid in the 70s. The shots immediately before and after it crosses the road shows a single funnel. So this was a situation of multiple vortices, not two seperate funnels, which is how it appears here.